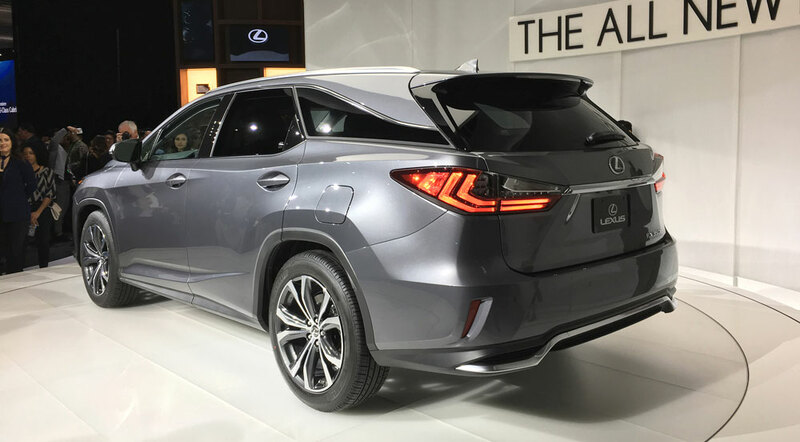 The 2018 Lexus RX L crossover debuted yesterday at the LA Auto Show, and there’s more to the model than just the extra row. Let’s pull together some of the insights from the automotive media. RX L…will be built in Japan and go on sale in December, a key month for Lexus and other luxury brands. U.S. sales of the RX are flat at 84,254 this year through October in a midsize premium market that has expanded 4.9 percent. 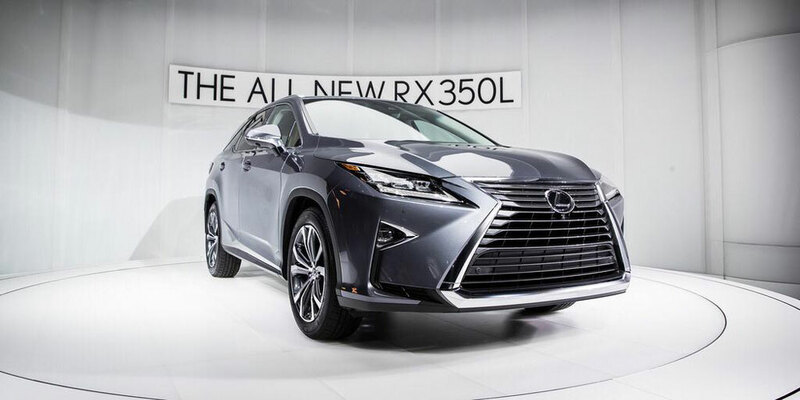 Cooper Ericksen, vice president of marketing for Lexus, said brand officials expect about a 30 percent take rate for the RX L, with half of those buyers coming from current RX owners and the other half coming from new consumers attracted to the availability of the third row. 30% of RX buyers opting for three rows is a significant number, but it still seems low. This may have something to do with capacity, the RX L will only be built in Japan. With all three rows of seats upright, there’s just seven cubic feet of luggage space behind the third row. Fold down the third row, and that volume increases to 23 cubic feet, which betters the standard-length model by five cubes. With all seats folded, the bigger RX has 58 cubic feet of cargo space, versus 56 in the regular RX. Amusing eye-roll-worthy jokes aside, the new three-row 2018 Lexus RX L is an important vehicle for the brand, with the potential to match sales of the larger GX three-row SUV by itself. A Lexus representative tells us the RX L could add 30,000 sales to the RX’s already impressive annual sales.